More and more homeowners are making the decision to stay in their homes longer, and invest on periodic upgrades, necessary repairs and the occasional room renovation. However, any home renovation – from a simple bathroom remodel to a complete room addition – can seem like both an exciting AND daunting undertaking for most homeowners. At Highlight Home Restoration, we’ve made a business out of making that home improvement project even MORE exciting than you imagined – while virtually eliminating the “daunting” aspect altogether. We truly want to make the choice to remodel as easy a decision as possible for you, so we’ve outlined ten easy steps – from start to finish, aptly titled “Remodeling 101″. If, when you’re done reading our list, you think “Hey, we can do that!” – step #11 should be to give us a call. We can get started on transforming your rooms into living spaces where you and your family can make memories together for years to come! Establish a Goal: What do you hope to accomplish with your upcoming renovation project? Does your family need more space to spread out or grow? Do you want to open up your existing floor plan? Do you need to update the look of your home? Do you wish to add energy efficient products, windows, doors, etc. that are eco-friendly and will save you money by lowering energy costs and a nice tax rebate? Write it all down on a piece of paper to help you better determine your wants and needs for this project. Do Your Homework: Once you’ve established your goal and have a general idea of what you’d like to accomplish with your home improvement project, begin flipping through magazines, visit different home improvement websites, watch home improvement shows (without getting too caught up in the romantic notion that you can go it alone – see our blog “DIY vs. Hiring a Contractor”) and tour new construction homes. Take good notes, print/cut out pictures, take photos, etc. and keep your own scrapbook. This will help you develop an excellent mental image of what you’d like your project to look like. Determine a budget: It’s good to have a range and a REALISTIC idea of how much you can spend on any given project. Depending on the size and scope of your project, this may involve a cash outlay or a bank loan to get the job done. 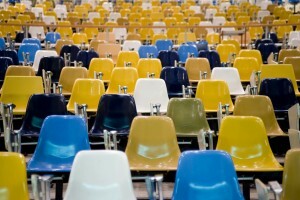 Think in terms of the number of people who will be working on your project/man hours, materials, design, quality, etc. Where’s the money coming from? : Once you’ve got a fairly good idea of what you are comfortable paying for this project, you need to determine HOW you plan to pay for it. If you’ve saved your pennies and plan to pay in cash – GOOD FOR YOU! However, 90% of Americans obtain some sort of financing in order to complete home improvement projects – so if you fall into this category, you are not alone. Many homeowners view the need for occasional home improvements as a wise investment in not just the resale value of their home, but also in the enjoyment level for their families. You may want to begin the process of securing a loan right away, so there are no surprises down the road once the project has begun. Put Your Plan on Paper: Your average, everyday homeowner doesn’t always possess the skills necessary to draw up a set of blueprints. For larger projects, most people require the aid of an architect to develop a set of plans to build from. Because Highlight Home Restoration is a division of Atlanta builder, Highlight Homes – we have a talented architect on staff who will listen carefully to your wants and needs, then design something truly amazing based on your vision. There’s no need to hire a separate architect or designer! It’s About Quality, Not Quantity: This is perhaps your most important step of all – finding a GOOD builder to complete your project for you. Needless to say, we’d love nothing more than for you to choose Highlight Home Restoration – but we understand the need to research other builders and receive a number of bids, references, etc. Make certain to request copies of their insurance, and find out if they are fully registered and licensed (like us!) Once you have all the bids in hand, try to fight the urge to go with the builder who is the cheapest – and consider instead who falls within your budget limitations, who you had the best rapport with and who you feel will do the best job. Unfortunately, some builders will come in with a low price and slowly up the ante with last minute change orders for items they “forgot” to include in their original bid. While it is impossible to account for every situation that may occur in a home renovation or addition, and there may be a change order or two in your future – this should be the exception and not the rule. BE CAREFUL! Obtain the Necessary Permits: Highlight Homes/Highlight Home Restoration can aid in determining the permits you will need for any given project and help acquire them for you. A step that many Do It Yourselfers may miss is that for any home improvement project, it is imperative under the law that you always obtain a building permit. Permits will also serve to protect you and give you the guarantee that things are constructed according to Local, State & National building codes. Complete a Check List: At Highlight Home Restoration, we’re not happy until you’re happy! Once the project is complete, request an official walk through with your project supervisor to make sure that everything is done to your liking. In the event that anything does not meet with your complete satisfaction, make a list of any items that need to be addressed and we will agree on a completion date. Call Your Insurance Company: Once the project has been completed, you will need to contact your insurance carrier and let them know about the changes you have made to your home. You may need to increase the value of your policy to make sure your investment is insured in case of fire, flood or other disaster. Help Spread the Word: The latest statistics say that most builders rely on word of mouth for an estimated 85% of their business. If you’re happy with the work we did, we simply ask that you help us out by telling your friends and family about us. Not only will we be thankful for it, but your friends and family will be, too! That’s remodeling in a nutshell! It doesn’t include word one about the excitement you’ll feel as you work with the designer to put your visions on paper, and then watch that vision become a reality within your own home. It says nothing about the hours, days, weeks and years of enjoyment you and your family will get out of the new space you’ve created. It doesn’t mention the fact that you will make your home seem new again and guests will suddenly see your home in an entirely new light. As you can see from the steps above, getting started is easy! We invite you to complete steps 1-4 on your own, then contact Highlight Home Restoration and we can help you with the rest! Fill out our online contact form found on our website (http://www.highlighthomesga.com), e-mail us at info@highlighthomesga.com or call us at (678) 873-9234. Ever heard the saying “You get what you paid for”? 1) If the home was purchased at auction, the original owners may still be living there. This often makes it difficult to next to impossible to get a thorough inspection performed before their departure and your family’s arrival. It’s a gamble, but one many investors are willing to take. 2) If the home is a “real-estate-owned” (REO) foreclosure, these are often sold “as is” by the original mortgage lender. While foreclosed properties are often better off than the traditional “fixer upper”, certain maintenance issues may have been ignored or postponed while the previous homeowner struggled to simply keep their home. 3) If the home has been sitting in foreclosure for some time, it may have fallen prey to vandals, thieves (looking for appliances or anything of value left in the home), the elements or all of the above. Without a dedicated agent watching over the property on a regular basis, any number of things could go wrong. Still, with savings averaging 30% and more off fair market value for many foreclosure properties – planning for the contingency of the possible need for repairs and renovations may be your best bet. You could still wind up with a significant discount and have an excellent opportunity to make the home all your own. 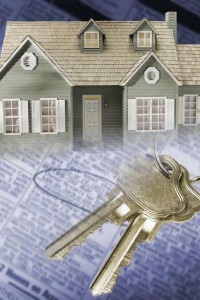 Many times, this contingency can be allotted for with your mortgage lender. Because Highlight Homes, LLC is founded in the residential construction business – our new division, Highlight Home Restoration is well-prepared to help you navigate all areas of home restoration and improvement. We don’t merely specialize in one area of home repair, such as plumbing, roofing, carpet installation, painting, etc.. – we specialize in them all! 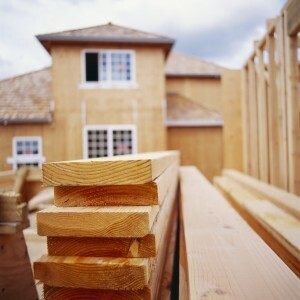 We can also aid in bathroom and kitchen renovation, room additions, decks and patios, basement finishing and much more. Additionally, Highlight Home Restoration can help haul away unwanted items that have been left behind, recycle materials and assist with general clean-up of a vacated or foreclosure property. Transform that excellent real estate investment into a HOME by calling the talented team of designers, contractors and foreclosure renovation professionals at Highlight Home Restoration at (678) 873-9234. To learn more about Highlight Homes and Highlight Home Restoration, we invite you to visit us online at http://www.highlighthomesga.com. As the first weeks of the New Year unfold and the holiday decorations are stashed away in storage for the next 10 months, you may find yourself yearning for a new look for your home. First, take a deep breath and give yourself a little time to readjust to the appearance of your home without the garlands, lights, seasonal bric-a-brac and bows. Once you’ve done that, and if you’re still disenchanted and in need of a change – set a budget and write on a sheet of paper the list of projects you’d like to have completed, in order of importance. Are these relatively simple changes that can be accomplished with a new coat of paint, some throw pillows, a rug and artwork – or are you looking at a major overhaul, space renovation or room addition? If the first question fits your needs best, a really good interior designer may be the answer. However – if it’s the latter – your next step should be to give Highlight Home Restoration a phone call! Highlight Home Restoration will gladly discuss your wishes and needs over the phone, and then schedule an on-site visit to explore the possibilities further. With twenty-five years of experience in architectural design, home construction and renovation – we offer an honest, straightforward approach and expert advice to every potential client we meet. Equally important, we tackle every project we undertake with a high level of enthusiasm blended with solid professionalism and a wealth of skill. We can help you design and implement home renovation projects of various sizes and scopes – from a simple half bathroom renovation to the completion of an unfinished basement to the addition of an entirely new room. We can also alter the look of the exterior of your home with the addition of a new facade, front porch or brand new deck in time for spring! While you may not be able to complete every project all at once, we’re confident that you’ll be so happy with our work that you’ll continue to use our services for years to come (AND tell your friends about us!) To get started, simply fill out online contact form (http://www.highlighthomesga.com/contact-highlighthomes/) or call us TODAY at 678-873-9234. We look forward to meeting you and learning how best we can help you give your home a new look for the new year! All across the nation, meteorologists are predicting record-breaking low temperatures this winter – or at the very least, colder weather than many of us can remember. As word spreads that Florida’s citrus crops will be threatened by repeated Arctic blasts and we all suffer through the teeth-chattering and bone-chilling side effects of this frigid season , our homes are at great risk of falling victim to the glacial temperatures, as well. Homes in the South are often particularly at risk, as water pipes are sometimes located in unprotected areas of the home and homeowners are not as well prepared as some of our Yankee counterparts. Because major freezes only occur one to two times a year here in Georgia – if at all – we may forget to do the simple things to protect our homes against unnecessary winter damage and expense. Water pipes often burst because of a buildup of ice in the line and the consequent increase in water pressure between the water source and the freeze. A VERY SIMPLE way to safeguard against this during winter’s coldest nights is to set your faucets to drip – no need for a steady stream but a drip – particularly on days/nights when the temperatures dip below 20 degrees F and there is a cold, blustery wind blowing outdoors. Keep in mind – it is not outside the realm of possibility for pipes to burst in temperatures over 20Ëš F, as well. While this is not an ironclad defense against freezing, it will relieve some of the water pressure buildup in your pipes. For those who are environmentally conscious, you may only wish to set the faucets to drip where you know the pipes are unprotected/at higher risk. You may also want to open your cabinet doors under sinks to let the warm air flow through as an added precaution. When you turn on a faucet and nothing comes out, chances are your pipe is frozen. You only have a couple of options – search for the exposed area of the pipe and try heating it with a handheld hairdryer or CALL A PROFESSIONAL. The second option is very often the best – you really don’t want to take any chances on your pipes possibly bursting, ultimately leading to the need for a plumber anyway. Highlight Homes/Highlight Home Restoration is highly skilled in many areas of home design and renovation – including plumbing – and we serve the entire Metro Atlanta area and surrounding region. Keep our phone number handy – (678) 873-9234. If you choose to tackle this problem with hairdryer in hand, first make sure you are not standing in any water – then heat the pipe slowly, with the spigot open, from the faucet end of the pipe to the coldest area. GOOD LUCK! If you are headed out of town and suspect that cold weather may be approaching, you may want to reconsider turning off the heat to save money. You can still cut it down, but leave it around 55 degrees F to be safe. A better solution may be to turn off the water while you’re away. Locate the main valve, shut it off and then drain the remaining water in the system by running your faucets. It’s also a good idea to know where your main valve is located in the event that your pipes actually DO burst and you need to turn the water off right away! Outdoor spigots should be drained of water and protected, as well. Remove any garden hoses, shut off the main water valve and then run the spigot until all the water is out of that particular pipe. Purchase faucet covers for added protection – often found at your local hardware or home improvement store. Take additional special precautions for sprinkler systems by purging them of all water, as well. Unfinished basements are sometimes riddled with exposed pipes – and since heat rises, your basement is often the coldest part of your home. All exposed pipes should be covered in insulation – but for a quick fix, you can also use newspapers and duct tape. It might be a great time to finish that basement! Highlight Homes/Highlight Home Restorations can help! Call us TODAY at 678-873-9234. Have your furnace inspected by an HVAC professional ASAP. Prep your fireplace for a toasty fire by calling a chimney sweep to check for creosote and soot (if you don’t have gas logs – make sure you have plenty of firewood on hand). Inspect the exterior of your home for openings – use weather stripping around doors and caulk around windows to prevent cold air from seeping in. Check your gutters – if they are full of debris, clean them out. Ice buildup in your gutters could lead to costly roof damage. Check all of your smoke detectors to make sure they are working properly. Make sure you have a fire extinguisher on hand (if it’s older than 10 years, you should replace it). Place a carbon monoxide detector near your furnace and/or water heater. Trim back trees if branches hang too close to the home or near power lines. Prepare an emergency kit, just in case the power goes out. Make sure it includes flashlights, candles, matches/lighter, and phone numbers for your utility companies. It’s wise to have plenty of blankets, water and non-perishable food on hand, as well. The experienced team of professionals at Highlight Homes/Highlight Home Restoration is here to help you prepare your home in any way we can. We will carefully inspect your home and point out the areas at greatest risk. In the unfortunate event that your pipes burst or a tree falls on your roof, we can also assist you in restoring your home to its original beauty (or even add on a little something special in the meantime!) 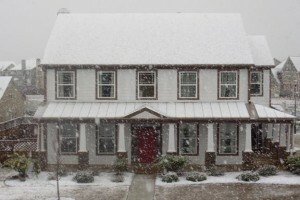 For more tips and solutions to safeguarding your home this winter, we invite you to call us at (678) 873-9234. To learn more about Highlight Homes/ Highlight Home Restoration, please visit our website at http://www.highlighthomesga.com. We wish you and your family a Warm and Happy Winter Season! Special thanks to our friends at weather.com for providing many of the tips and suggestions above!